Unreal Tournament is Epic's longest running franchise, but despite plans to reboot it with a new, gorgeous, free-to-play, arcade-style title, the Fortnite developer has put its recreation on hold. Most likely because of the aforementioned Battle Royale title and its insane popularity. 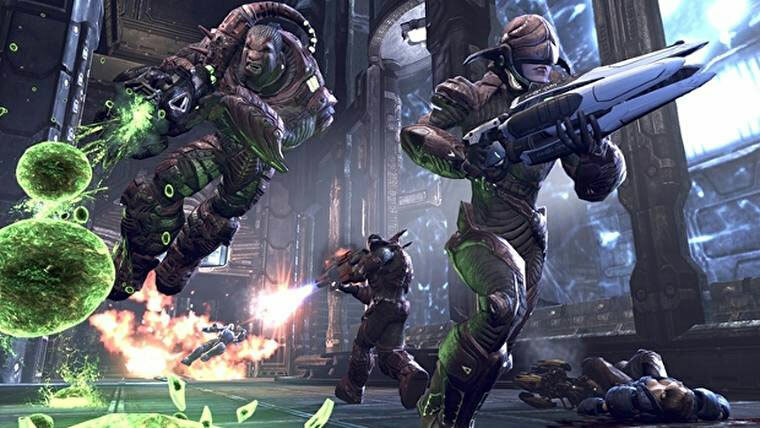 That version of Unreal Tournament technically launched four years ago with a free to play, crowd-sourced development model that proved relatively popular, at least initially. The last time it received an update was in July 2017 and now Epic has made it clear that that's going to be the last one too. “Unreal Tournament remains available in the store but isn’t actively developed,” Epic boss Tim Sweeney confirmed in a statement to Variety. This is perhaps no surprise when you factor in the success of Fortnite. Epic reportedly makes hundreds of millions of dollars a month from the game thanks to upwards of 80 million active players. There was no way that Unreal Tournament could compete. That said, it is sad to see the development come to an end like this. Fortunately, Epic is keen to see some of its classic titles in the franchise reach modern digital storefronts with new support for mods and extras. "We’ve recently worked with GOG on making classic Epic Games titles available and we’re planning to bring more of them to the store in their original glory," Sweeney confirmed. Though the first quake was the golden age of cult following multiplayer, tournaments and mods on all fronts, the stand alone unreal tournament offer was above and beyond even quake 3 arena. Best multiplayer fps ever created.